Cannabissearch.com Buzz Rating: There's nothing subtle about Peppermint Kush. This indica generates a powerfully ripping body stone that has slight cerebral effects. The high is medium in length but can cause drowsiness in many users, often resulting in sleep. This strain was bred by using the breeder's Stella Blue as a mother, with a Nepali landrace indica as the male. This resulted in a strain that has large, chunky buds with long pink pistils. Flavors are of pepper and spice, with a fresh minty aftertaste. When broken apart, the buds often have bright streaks of blue and lavender. Ingesting through a vaporizer is the prefered means of medicating with Peppermint Kush, as it allows the full flavors to come through. Peppermint Kush is a short, compact plant with broad and dark indica leaves. This is a good strain for a Sea of Green garden, as it will rarely exceed 25 inches and tends to grow with a single, large cola. This strain is somewhat of a heavy feeder, but nutrient levels should still be monitored to prevent nute burn. 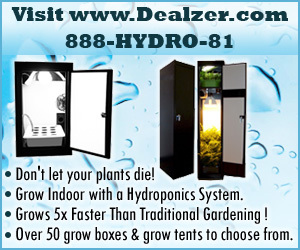 When grown indoors, the flowering time should be a consistent eight to nine weeks. Outdoor gardeners in the Northern Hemisphere will likely see a harvest by the first week of October. Peppermint Kush 0 out of 5 based on 0 ratings. 0 user reviews.